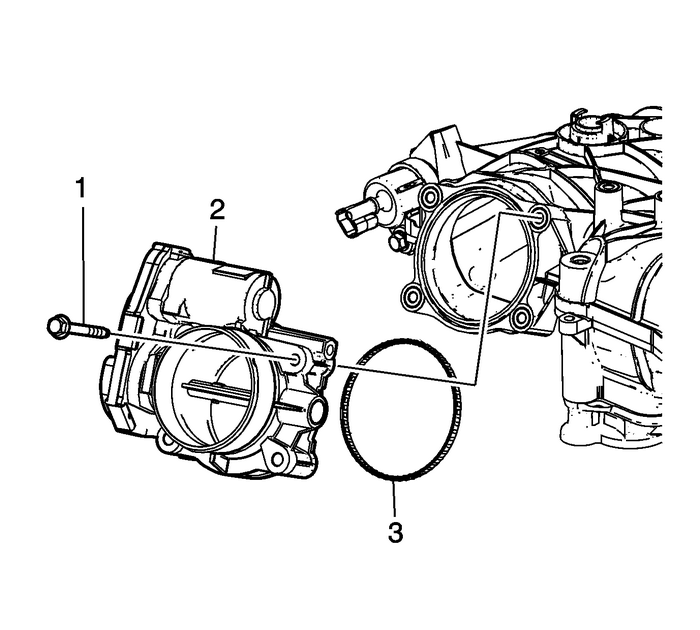 Remove the throttle body bolts-(1).Remove the throttle body-(2).Remove and discard the throttle bodyseal-(3). 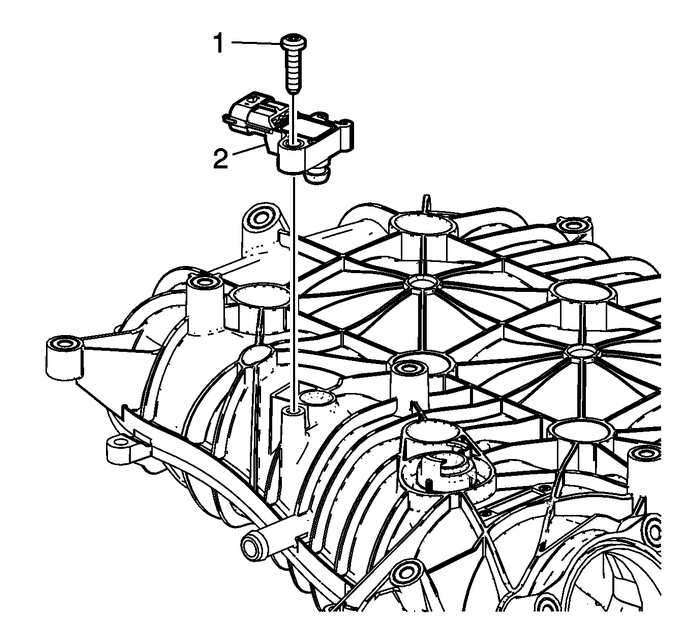 Loosen the evaporative-(EVAP) solenoidbolt.Remove the EVAP solenoid-(1). 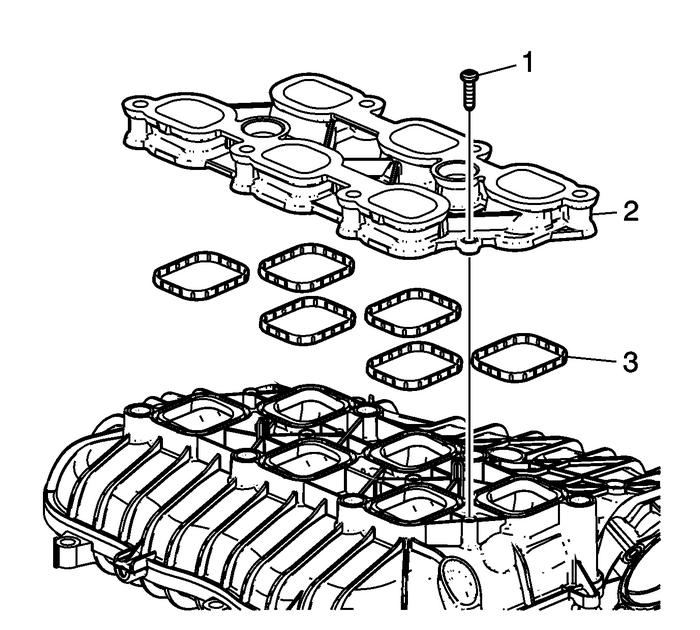 Remove the manifold absolute pressure-(MAP) sensorbolt-(1).Remove the MAP sensor-(2). 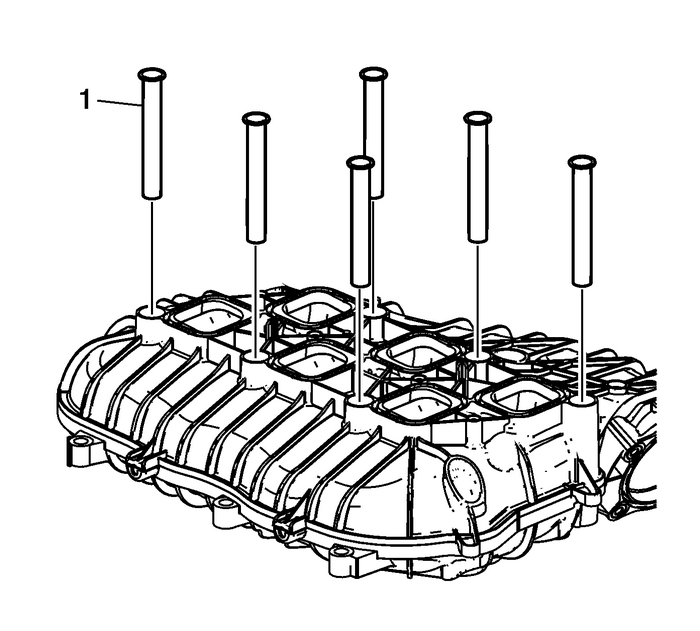 Remove the lower intake manifold bolts-1) andlower intake manifold-(2).Remove and discard the lower intake manifoldgaskets-(3). 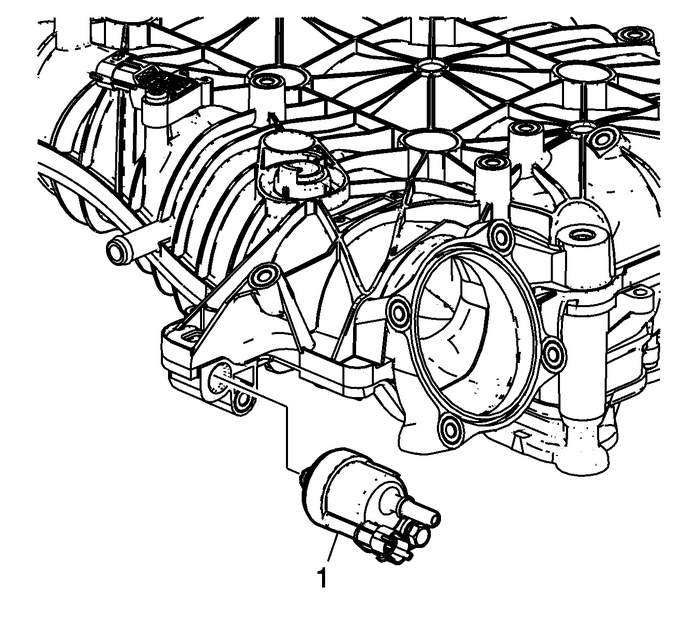 Remove and discard the plastic compressionlimiters-(1).